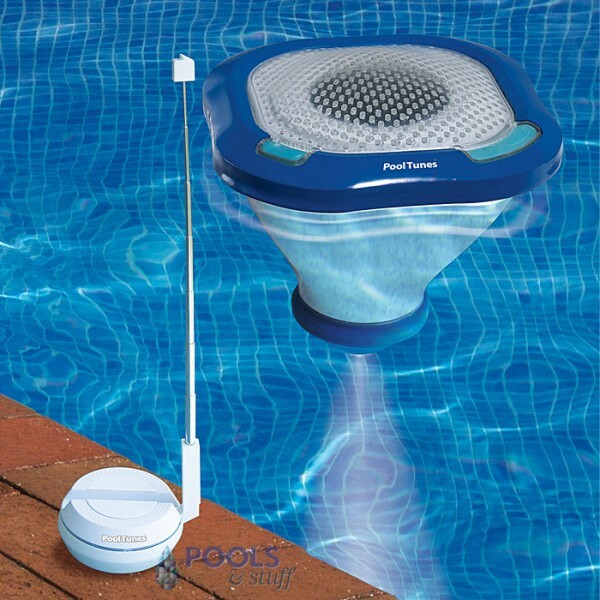 PoolTunes™ brings your music into the pool with this revolutionary floating speaker and light. Simply plug the 3 ft stereo mini-jack cable from the transmitter into your MP3 player. The 3 watt, full range speaker can be up to 100 ft away from the transmitter and is waterproof to 3 ft under water for up to 30 minutes. LED pool light illuminates the water at night.